This classic dish always hits the spot at brunch. 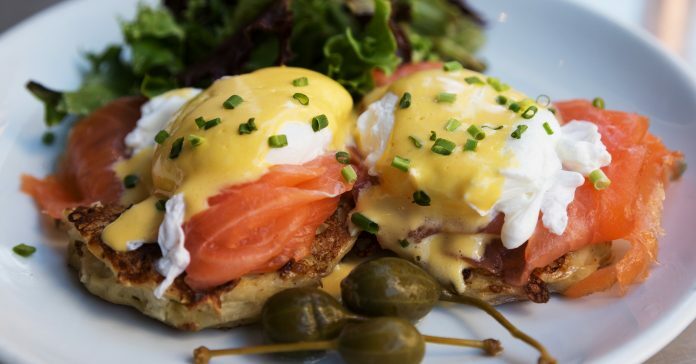 Here are a few of our most frequented Orange County spots with their own spin on the beloved poached eggs, hollandaise sauce, and toasted English muffin plate. What you’ll get: Poached eggs with avocado and bacon served on a sourdough English muffin and topped with a chipotle hollandaise sauce. What you’ll get: Poached eggs, jumbo lump crab cakes with bacon, and a jalapeño hollandaise sauce. What you’ll get: Poached eggs, smoked salmon, spinach, and béarnaise sauce. Served on roasted portabella mushrooms instead of an English Muffin. What you’ll get: Poached eggs served with corned beef hash and a classic hollandaise sauce on a toasted English muffin. What you’ll get: Poached eggs and crab cakes with spinach, topped with a classic hollandaise sauce and served on an English muffin. What you’ll get: Poached eggs, Applewood smoked bacon, tomato, and avocado, topped with a classic hollandaise sauce and Sriracha. What you’ll get: Poached eggs with ham served on toasted baguette slices with a classic hollandaise sauce. 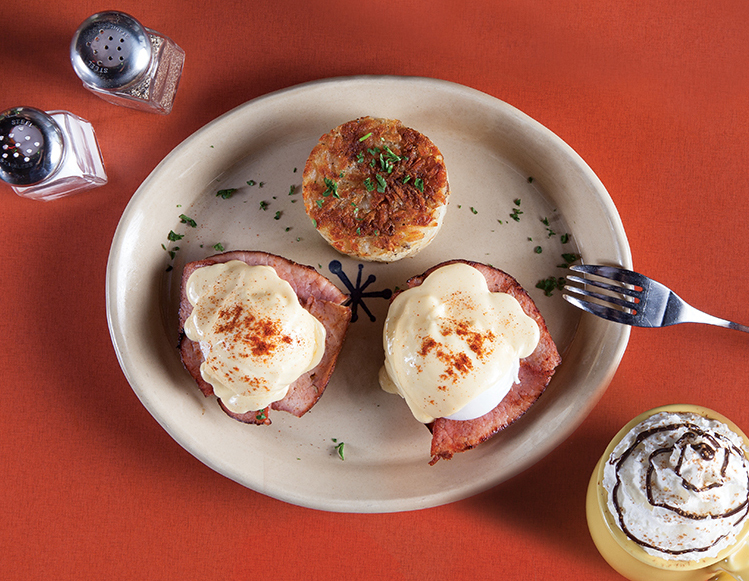 What you’ll get: Poached eggs with Canadian bacon and a chipotle hollandaise sauce served on a toasted English muffin. What you’ll get: Poached eggs and ham served on a grilled English muffin with hollandaise sauce. What you’ll get: Poached eggs with your choice of sliced filet mignon or house-made crab cake and tomato hollandaise sauce. Tip: go surf & turf and get one of each! 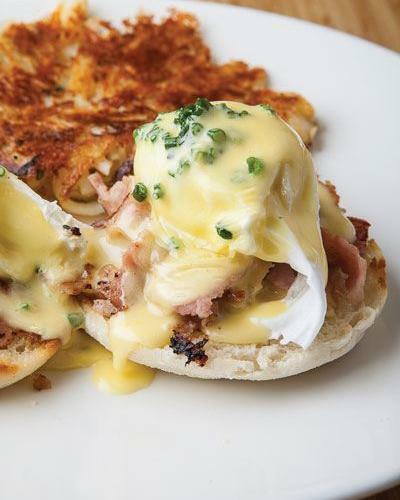 What you’ll get: Poached eggs with tender shaved ham and smoked cheddar hollandaise on a signature English muffin. Served with a side of hash browns. What you’ll get: Poached eggs with peppered ham and chipotle-cilantro hollandaise on a fresh baguette. Comes with roasted potatoes. What you’ll get: Poached eggs and Kalua pork with hollandaise sauce on a toasted English muffin. Served with a side of potatoes. What you’ll get: Poached eggs, grilled tomatoes, and spinach on an English muffin with chive hollandaise. What you’ll get: Poach eggs and smoked paprika hollandaise on toasted brioche, served with house potatoes. Add smoked salmon for $5. What you’ll get: Poached eggs and pulled pork on an English muffin topped with hollandaise and queso fresco. Comes with roasted Yukon potatoes.